“All pets on a leash are welcome” is the policy of the American pet store Petco. A couple from Texas wanted to test a local branch in Houston. 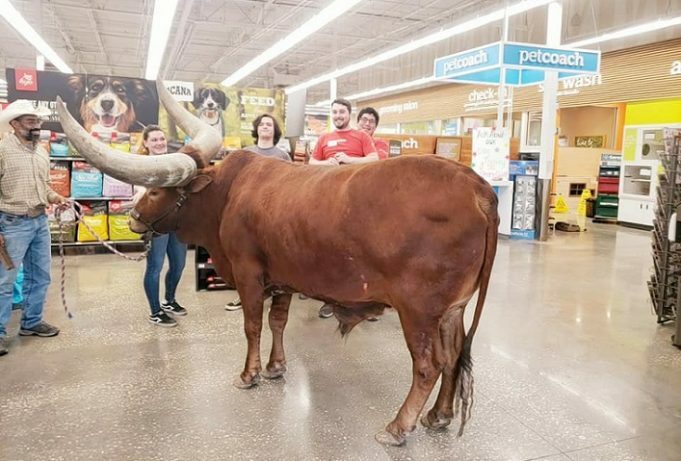 And so Shelly Lumpkin and Vincent Browning went there, laughing, with their Oliver Watusi on a leash. 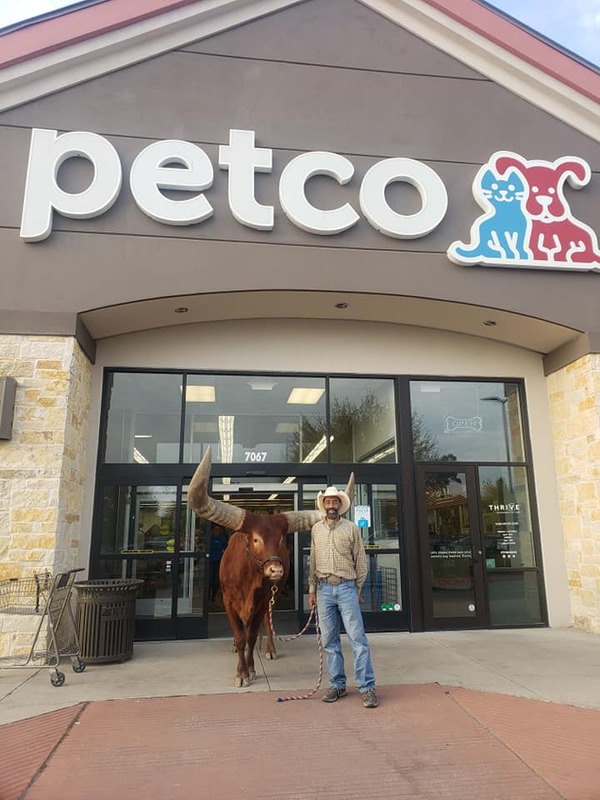 Not a bad advertisement for the pet shop in the Texan Atascocita near Houston. The video on Facebook has been viewed more than 560,000 times. Vincent Browning trains Oliver for rodeos and other shows. 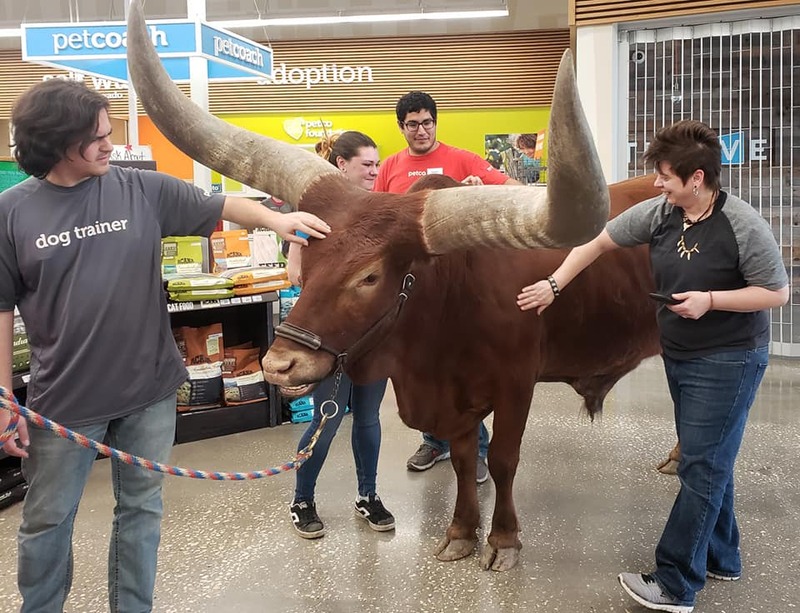 You can hire an African Watusi. His exact weight is unknown but can go up to 725 kg. Oliver has had his own Facebook page for four years.